doesn't seem like a big deal to me. I didn't see anyone get hurt, and the only close calls were people who seemed to be going a little too fast in tight spots. If you're going slow enough, you're good to go. 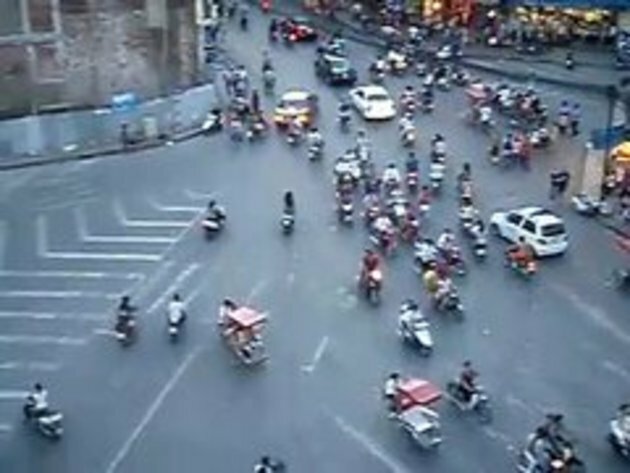 right on for the Vietnamese, keep traffic moving! I wanna drive a Ford F-350 through there and 35mph+; I could anywhere in no time! Reminds me of the experiment going on somewhere in the Nordic countries where they have eliminated all traffic lanes, signals, and signs. The results have shown reduced traffic problems, and surprisingly, more courtesy. Does anyone still believe in traffic lights?